Earlier today I wrote about the Year of the Dragon Wrangler concept and today (unfortunately) I bring you yet another dragon-themed car. This time the dragon has taken over one of my favorite cars, the Ferrari 458 Italia. I thought the Wrangler was questionable but this 458 Italia looks worse and makes the Jeep look pretty good. I think I feel this way because of the gold and red colors, which don’t look good together. 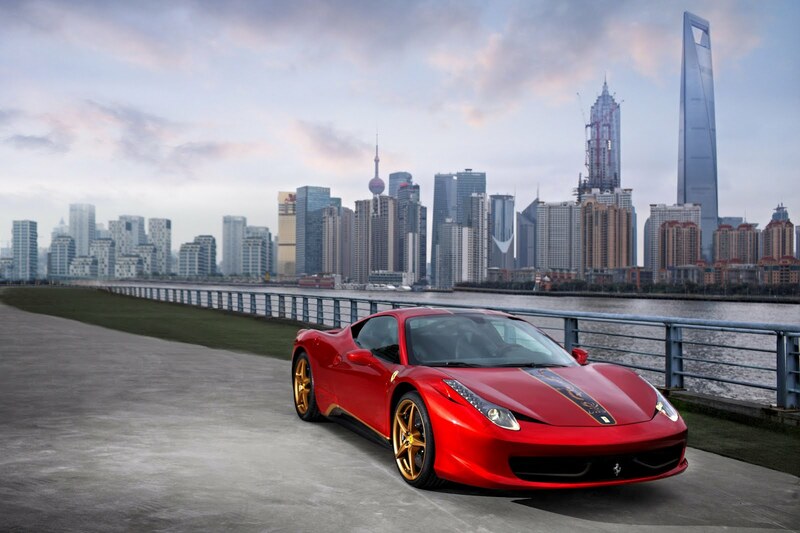 Unlike the Jeep, the Year of the Dragon Ferrari 458 Italia is a production model available in China only. The car marks the 20th anniversary of Ferrari’s presence in China and (thankfully) only 20 of these cars will be produced. 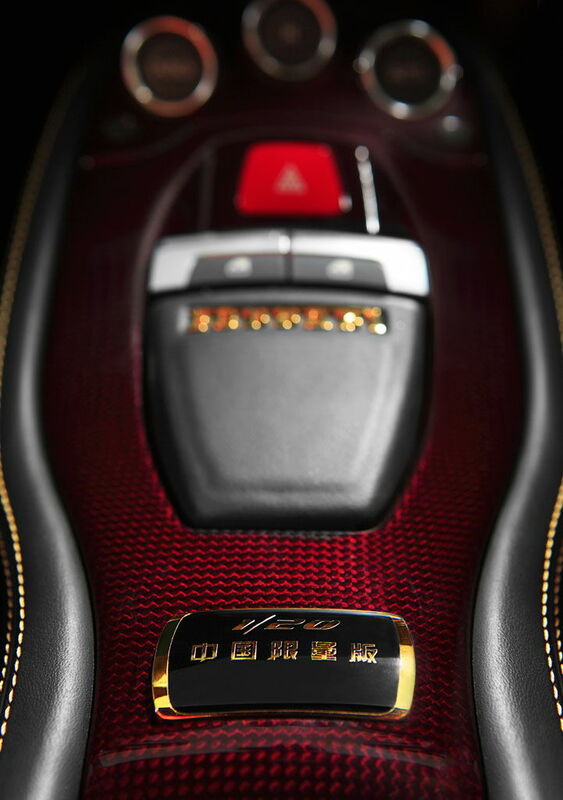 The 458 Italia’s exterior features the longma theme which means “the vigor and spirit of the legendry dragon-horse”. The “dragon-horse” part is the most appropriate thing about this car. 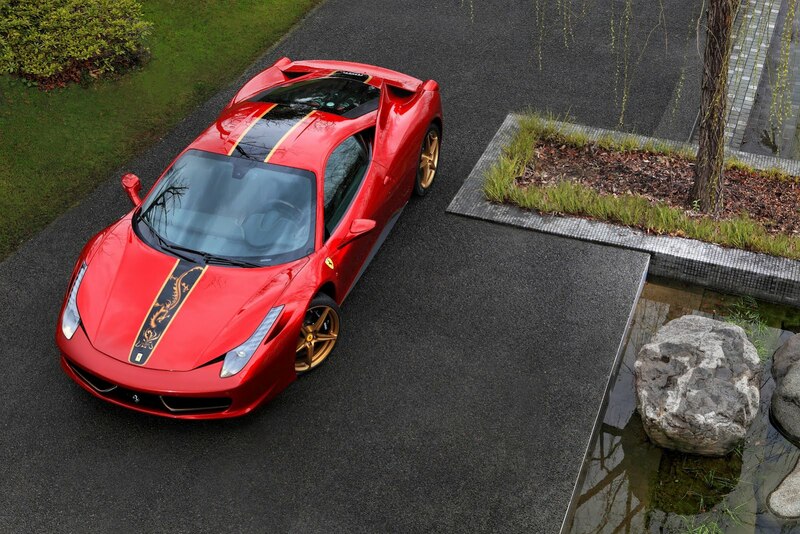 The special edition 458 Italia is finished in a new red color specifically made for this car, called Marco Polo Red. The car sits on new rims that are finished in gold and the hood features a black and gold stripe with a dragon, the stripe extends all the way to the back of the car. The front winglets are painted gold and the side skirts feature black paint with gold trim, which looks very ugly IMHO. The gold theme continues on the inside with gold stitching on the leather center console and a gold plated “20th Anniversary” plaque on the center console. 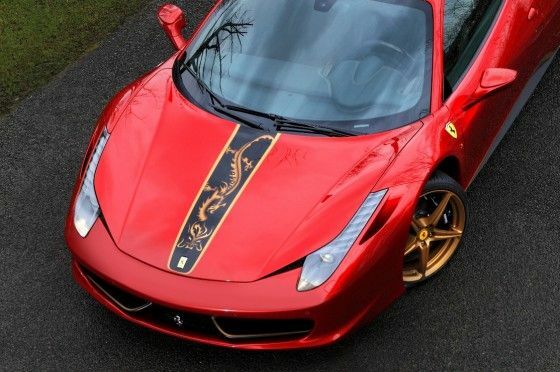 These are my thoughts on the Year of the Dragon Ferrari 458 Italia, what do you think?